Why is your belt upside down? Has anyone picked up the Dakota Chelsea boot yet? I’m curious as to how it fits compared to the Wyatt Chelsea. After years of browsing SL comments I'm still surprised no one has mentioned the original western boot makers, Lucchese. These guys are still doing hand made USA boots and are the ones supplying the film industry with proper western wear that SL aped for most of Hedi's reign. 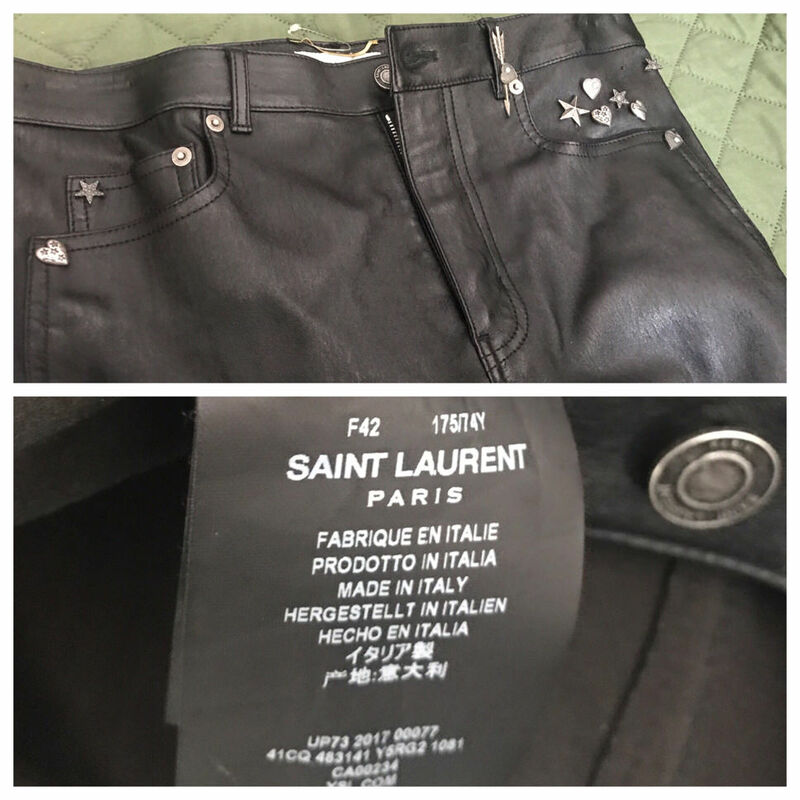 Does anyone have some experience with their leather pants? How's the quality compared to other brands? How’s the sizing on the skinny and slim jeans? Where can I find the various measurements (inseam, back rise, front rise, leg opening, etc.)? Re: my new Wyatt Chelsea boots in suede wood, do you recommend treating them with a suede protector spray? How about having a cobbler adding rubber bottoms to them? On the box it’s says Otterproof wood? What does the otterproof mean? Yes and yes. Although you can walk on them for a while before adding rubber topsoles no worries. Otterproof is just the name of the colourway, no idea where they got that from. Ok, great. Thanks for the response. I have suede protector spray on hand. And I won’t rush them to the cobbler for rubber topsoles. I previously posted about the pair pictured below that i own. It's made out of lamb leather, and is very soft and supple. Pretty comfortable to wear. I also own a pair of Jbrand Tyler leather pants. Quality wise, i don't find much of a difference between the two of them. The SLP is cut a lot slimmer and is tapered from the knee below, but that could also be because these are a women's pair. Got a S which fit my shoulder and chest perfectly but was definitely too long so got it shortened along with sleeves an inch. Let me know what you think of fit, think maybe a bit shorter and it seems to be quite wide around the hips? Don't use any type of spray. It will make the suede one shade darker and change the texture. Just get a good suede brush and you'll be fine. Suede is tougher than regular leather. I realize that this is dependent on body type and measurements, but, for those who are familiar with the piece, what’s the best guess of the size of gabardine Teddy jacket I should get at 5”7’, 140lbs, 36” chest? 44 or 46? Thanks!